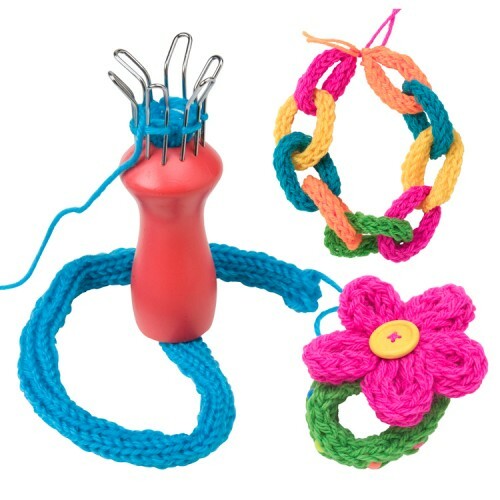 Learn french knitting technique and create unique fashion accessories with Alex' Cool Spool Knitting craft kit. 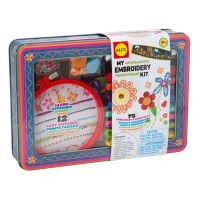 This french knitting set for kids, offered by Educational Toys Planet, teaches children of all ages the basics of sewing and knitting. 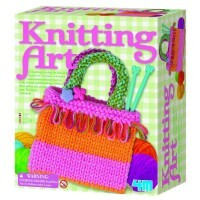 French knitting is a simple and fun way to create your own tubes of fabric. Once you have these vibrant pieces, let your imagination take over. 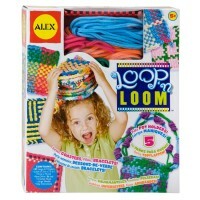 Coil each piece to make knit tubes and stitch them together to create wild shapes! 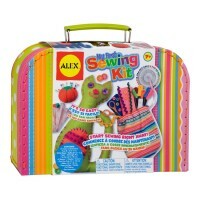 Alex Toys' Cool Spool Knitting Set for Girls includes wooden knitting spool, 5 colors of yarn, buttons, beads and easy to follow instructions. 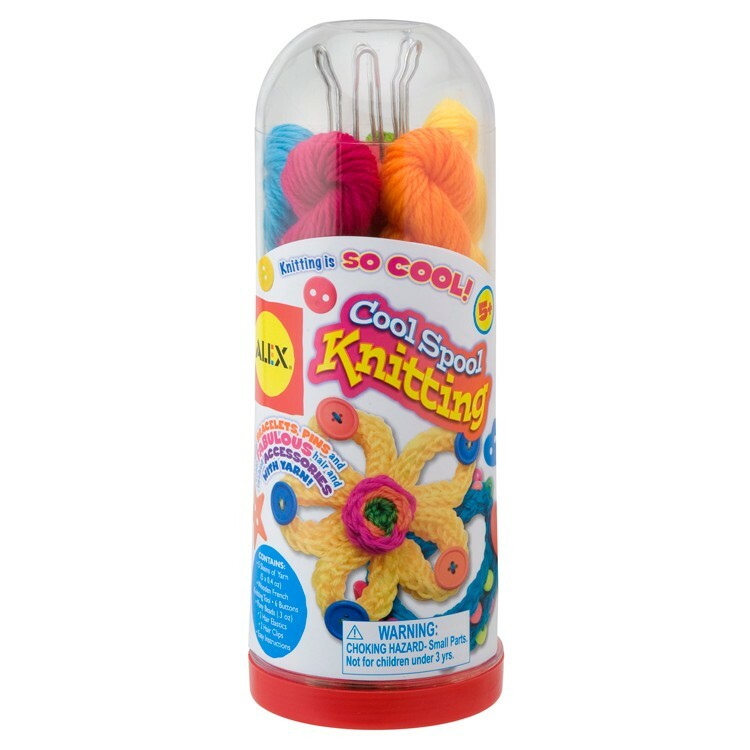 Cool Spool Knitting Set for Girls allows your crafters to knit bracelets, belts, necklaces, buttons, flowers, and decorative pieces. 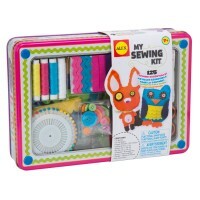 As your girls fine tune their motor skills and hand/eye coordination, they will also reveal their inner artists - and have a french knitted fashion accessories they can be proud of! 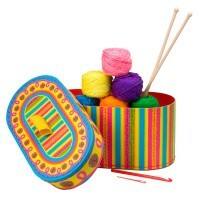 Dimensions of package 3.27" x 8.5" x 3.19"
Write your own review of Cool Spool Knitting Set for Girls. 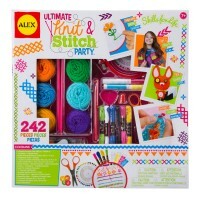 Rating: 5 by Margaret, IL I was pleasantly surprised that my 8 year old daughter learned to knit the things from this kit all by herself. She loves friendship bracelets. She made some other things, too. 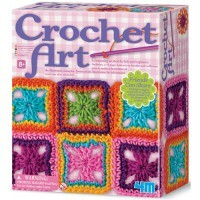 Rating: 4 by Judith, CO My granddaughter is still having a lot of fun with this product - it truly offers her the opportunity to be creative for herself. Rating: 4 by Denise, NH Nice small girl's gift. I just wish for more detailed instructions. I had to go online and find more about the french knitting, because the instructions are not clear. Also, some suggestions for design ideas would be helpfull.